One of the best ways to appreciate the value of fitlet and its technology is by comparison. Below is a comparison between fitlet and the non-fanless Celeron Intel® NUC Kit DN2820FYKH. 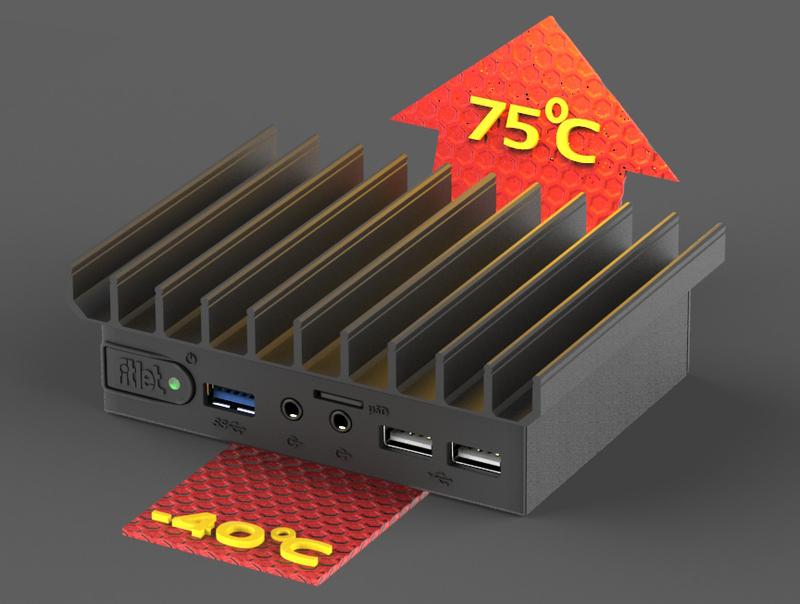 See also how fitlet compares to the fanless NUC. Fan is the most noisy element in a PC and gets louder with aging and clogging. The Celeron Intel NUC incorporates a centrifugal CPU fan. fitlet – not having a fan and using solid-state disk, is silent. Only 3 year warranty for the Celeron NUC.